Paterson, NJ, is the 3rd largest city in New Jersey, behind only Newark and Jersey City. It’s also the seat of Passaic County, and an important economic center in the greater northern New Jersey area. Plus, Paterson is only a short drive from New York City. With its convenient location, thriving business district, and numerous warehouses, Paterson employers are always looking for well-trained, qualified forklift drivers. 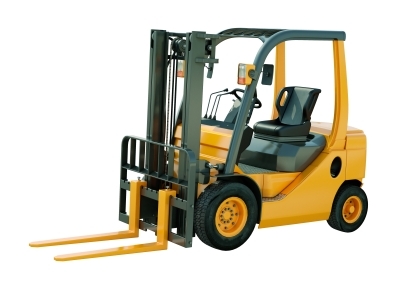 If you need forklift training in Paterson, NJ, look no further than ForkliftCertification.com. We’re already the #1 OSHA training provider for companies all over the Garden State, and we’re a great choice for both employees and employers in and around Paterson. OSHA compliance is required by law. But contrary to popular belief, it doesn’t have to be expensive or time-consuming. Our training modules are designed for convenience and comprehensive learning. If you need forklift certification in Paterson, sign up today! ✓ Employers – Federal and state OSHA regulations state that every New Jersey that uses forklifts is responsible for providing forklift certification training, and this includes Paterson. With an affordable price structure and take-anywhere convenience, our forklift certification in Paterson, NJ is hard to beat. ✓ Employees – Looking to expand your job possibilities in Passaic County? Sign up for our Paterson forklift certification. Our training content is constantly updated, so you’ll always get relevant, ready-to-use OSHA forklift information. Everyone benefits from our forklift training in Paterson, NJ! Our OSHA compliant training classes are your best option to ensure a safer, more productive warehouse, distribution center, or wherever you hire forklift drivers. OSHA fines and penalties can reach up to $10,000 and more. You can’t afford non-compliance. Sign up with our forklift certification in Paterson and get the required training your company needs. You can print out operator licenses and certification right away, and your employees can complete their forklift certification in Paterson whenever it’s convenient for them! Paterson is directly adjacent to I-80, along with other major state and regional highways. It’s a popular warehouse location for companies in Newark, New York City, and other major metropolitan regions on the East Coast. Aside from a large assortment of warehouses, Paterson is also home to plenty of retailers, distribution centers, terminals, construction companies, and many other employers who need qualified forklift drivers. Don’t sell yourself short in the Paterson forklift employment market. Get our n forklift certification in Paterson and ensure your employees are compliant. OSHA compliance is required by every Paterson forklift operator. Get Started with Forklift Training in Paterson, NJ Today – Contact CertifyMe.net! Paterson’s strong economy and close proximity to NYC ensures it will always welcome well-trained, OSHA compliant forklift drivers. The question is, are you prepared to handle forklift certification in Paterson for all of your employees? And if you’re an employee, are your skills and compliance up to date? Click here to get started with your forklift certification in Paterson. Whether you need our Training Kit, Train a Trainer course, or popular Bundle Package, ForkliftCertification.com has all the resources you need to excel on the job. Thank you for considering ForkliftCertification.com for your forklift training in Paterson, NJ. If you’d like to speak with our OSHA training experts for Paterson, please call us at (888) 278-8896.